You can get a chance to see how wrong my descriptions of Freedom of the City were (original post), by listening to BBC Radio 3’s Jazz on 3 programme, tonight… If you don’t have access to a UK-based radio set (! ), you can listen live online (BBC Radio player; direct links: real stream, Windows Media stream high/low quality), or, Listen Again for all of the following week… Transmission is at 2330, British Summer Time (2230 GMT). 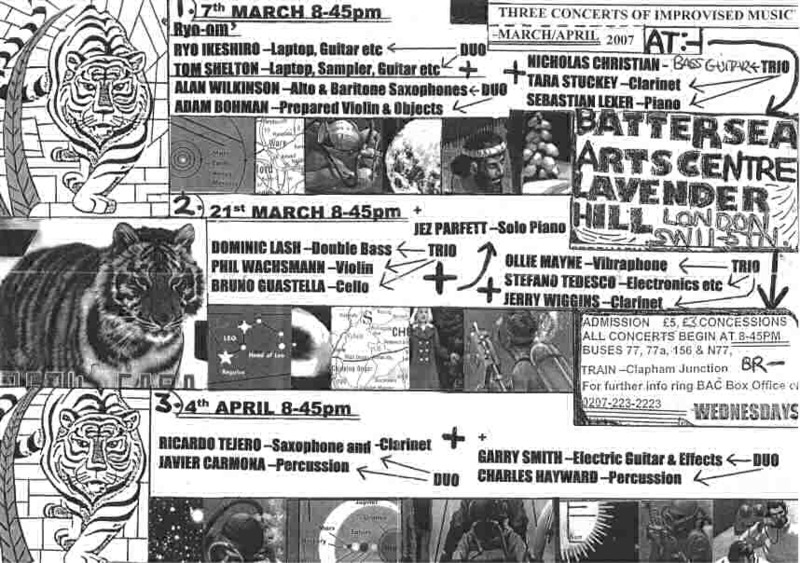 A programme of highlights tonight from London’s premier festival of free jazz and improv. Recorded over the weekend of the 6th-8th May of this year in London’s Red Rose, Freedom Of The City this year offered a diverse range of ensembles (you can have a look at the line-up at: http://www.emanemdisc.com/festival.html ) and we’re bringing you highlights of almost all the performances. 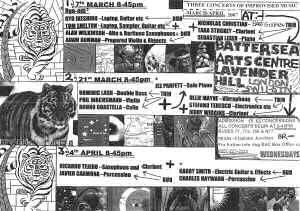 From the massed ranks of the London and Glasgow Improvisers Orchestras (separately and en masse) to the pin-drop solo guitar set from Pascal Marzan and the incessant scrapings of Barrel (get it?). We’ll also hear from key AMM figure Eddie Prévost’s latest group, 9! Postscript: (1/7/07) That was actually quite interesting, since the London Improvisor’s Orchestra sounded a lot better on radio than it did when I saw them live at the festival itself… Sort of compactified and easier to grasp, but also clearer and better separated than I remember (if that’s not a contradiction!). Maybe I was just overwhelmed! So: a small fiddle with the site layout, and a bit of tweaking here and there… Hopefully a bit easier to read, particularly for those on small monitors.